Scalable design services provide customers with various levels of assistance to suit their exact needs. Our New Product Introduction operations prepare all assemblies for production when Build to Print services are requested. However, if design assistance is needed, NAI has several facilities with deep engineering resources to provide. The NAI New Product Introduction (NPI) Operation links a new customer project from its early design phase through launch and mass production. The NPI Team develops a manufacturing assembly plan, documents and implements the related best practices, and provides cross-functional team support. This specialized group is dedicated to providing shorter lead times, on-time delivery, premium quality and a safe launch. A drawing of a completed assembly and its related “working board” is created by the NPI Team. They also create a prototype and a production sample, along with a Bill of Materials. NAI can provide the First Article within two to four weeks. The focused and agile NPI team is also tasked with preparing the visual aids and other tools needed for production. In addition, dedicated program managers utilize and oversee the Advanced Product Quality Planning (APQP) process, similar to the tool adopted by major auto manufacturers, for proactive quality planning in the design and manufacturing stages. Detailed drawings of assemblies provide a visual aid to guide assembly personnel. 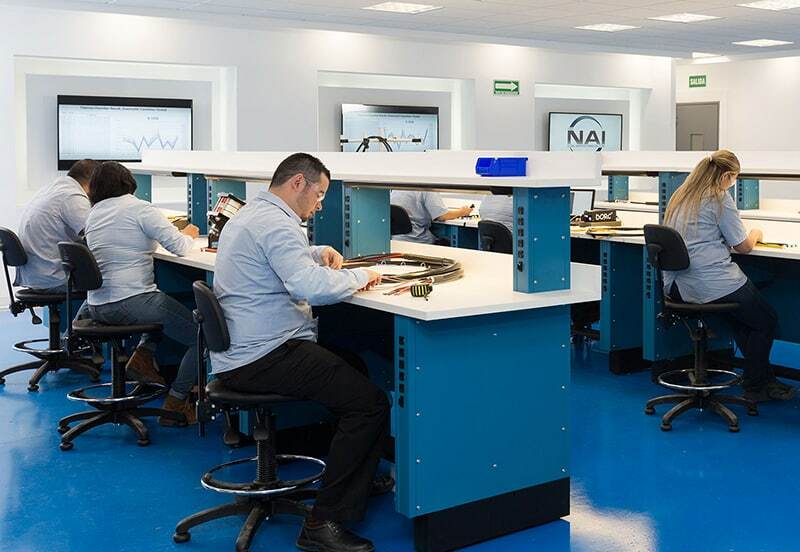 The New Product Introduction (NPI) operation occupies its own dedicated space in NAI plants, and is managed by an experienced team of specialized engineers and workers who are devoted to the development of new interconnect projects. Working boards are used to ensure the correct assembly of cables and components, as well as to test their electrical performance. NAI’s Solutions Center in Troy, Michigan is staffed by experienced design and application engineers who partner with our customers to provide the right connectivity solution for the application. Our capabilities can be scaled to meet our customers’ needs, ranging from design assist to full service. Our engineers are available to help our customers in selecting the appropriate off-the-shelf materials and perform VA/VE reviews of existing applications as well as design an entire connectivity solution. 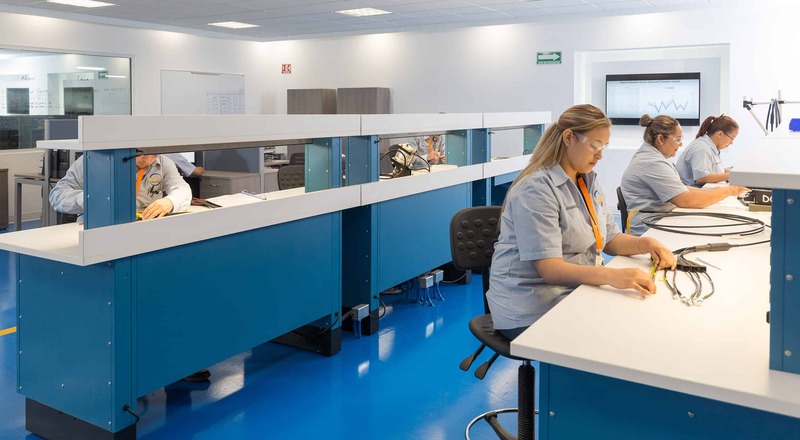 Through expert engineering and specialized testing, our dedicated Center of Excellence design and development facility ensures Design for Manufacturability (DFM), product performance, reliability, on-time delivery and achieves cost savings. We also have proprietary processes for bonding over-molds to the cable jacket substrate and for near bubble-free fiber optic cable connections. The CoE utilizes CAD equipment and 3D printers to realize the appropriate design solution that will meet a customer’s requirements. CAD software platforms include ACAD, SolidWorks and CorelDraw. 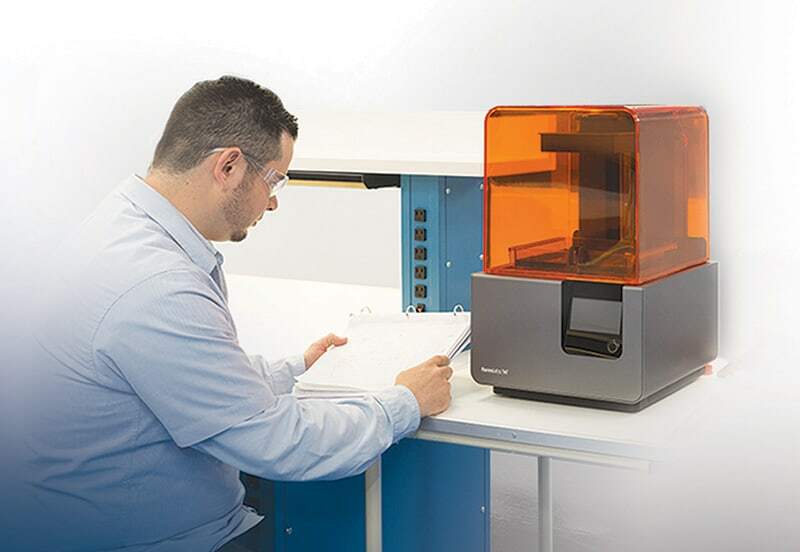 FormLabs software is utilized for 3D printing to simulate prototype assemblies. A wall of monitors provides CoE engineers with project dashboards, allowing them to control the design and testing process. Monitors display project status in real time, progress percentage and highlights, as well as live thermal test data. NAI’s Center of Excellence provides expert design assistance, prototyping and testing for fiber optic and copper assemblies. Once a prototype is made, the assembly is tested. 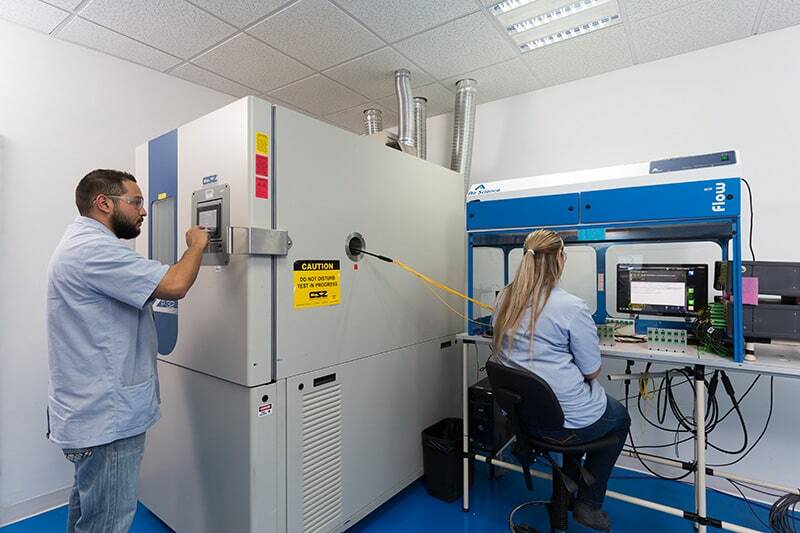 An Environmental Chamber for temperature and humidity, along with tensile and immersion test devices, simulate demanding environmental conditions to ensure the product will perform under these stresses. The CoE utilizes CAD equipment and 3D printers to realize the appropriate design solution.